1) Go to calendar.google.com and type in your Franklin County Google Account username and password. 2) Click on the date when your event is occurring and type in the title of the date in the "What:" field. 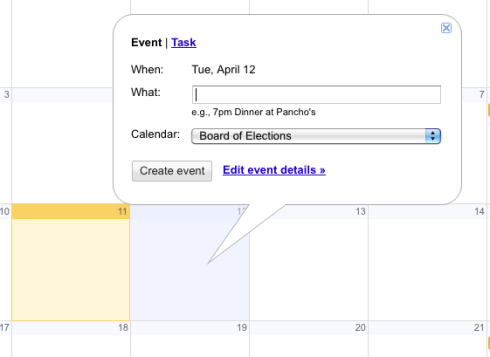 4) If the event is at a specific time of the day, click "Edit event details". Uncheck "All day" and set the specific hours of the event.